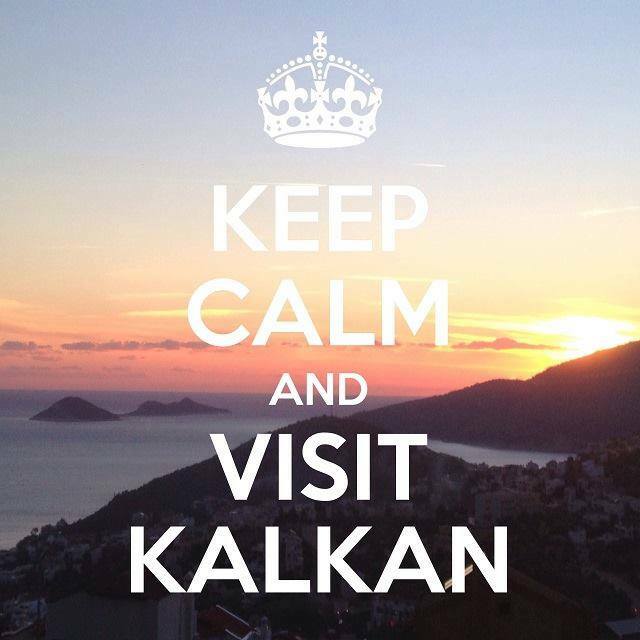 Given the recent press and media frenzy about worldwide terrorism, and the effect it is having on tourism in Turkey, we would be foolish to ignore the fact that people might be concerned about whether it is safe to visit Kalkan. Whilst we fully understand the legitimate concerns you may have, we hope that this page will help put things into perspective. 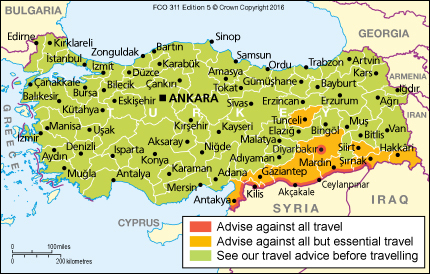 Frankly, we can do no better than refer you to the Foreign and Commonweath Office's current advice on visiting Turkey. Over 2,500,000 British nationals visit Turkey every year. It is generally safe to travel but you should take additional safety precautions. You should be alert to your surroundings and remain vigilant in crowded places popular with tourists." In the current climate, nowhere in the world can be considered "safe" from terrorism... but, although the FCO's rating for the threat of terrorism in Turkey is listed as HIGH, it is important to remember that this is actually lower than the official threat level in the UK, which is SEVERE. Elsewhere, Spain and France are also both classified as HIGH risk (the same level as Turkey) and there is a general underlying risk of terrorism in the USA, Portugal, Italy and many other destinations popular with British tourists. Why avoid Turkey, in favour of any of these countries that are equally at risk from terrorism? It simply doesn't make sense. 38 million travellers visited Turkey in 2015. That's more than the entire populations of Canada, or Australia. So, imagine all the people in Canada going to Turkey at once... should all of them be afraid of harm? And even if any of them were harmed, what would be the most likely cause? Would they have been any safer at home? Statistically, the danger from terrorism is tiny. Other dangers are far more prominent, at home, on a day-to-day basis than being harmed in a terrorist attack. Most of us don't worry much about those other dangers. Looking at the risk of terrorism generally? Well, statistically, the most dangerous part of your whole trip is the drive to the airport! Do we consider daily the risk of road and sporting accidents, DIY accidents, drowning while swimming, or even drowning in our own bathtub? (On average, one person drowns in his/her own bathtub nearly every day in the USA). In the UK, over 30 people a week are killed on the roads. That's equivalent to a major terrorist incident like the recent one in Brussels... every week, right here in the UK... but does that stop people getting in their cars? We live in the UK. Are we afraid on a daily basis? No. Do we take sensible precautions? Yes. Are they certain to protect us? No! There is no completely safe place on Earth... not even your home. Turkey is no more dangerous than the place you live (and may actually be safer - see above). If the media blared headlines every day of all those killed in car accidents just a few miles from home - the way they do about any terrorist incident - we'd all be too scared to leave our own front doors! But that risk is actually much, much higher. Nearly a million foreign tourists were in Turkey on January 12, 2016: in Izmir, Istanbul, Cappadocia, Ephesus, Pammukale, along the Mediterranean coast, etc. 25 of them were tragically involved in a deadly incident in Istanbul, but 9,999,603 were not! Finally... to put it all into perspective: Kalkan is a tiny, friendly little town, out on its own on the beautiful Mediterranean coast. We actually feel much safer there than we do in London. You could think of it as the Turkish equivalent of a Cornish fishing village... but much further away from Istanbul and Ankara than Cornwall is from London or Birmingham. So, one question: when the IRA were inflicting their deadly attacks on British cities in the 70s, 80s and 90s, would it have stopped anyone from going on holiday to Cornwall?